Today I’m sharing a quick revamp I did on a side table with a bit of midcentury mod style. Here’s how it looked when I spotted it on the buy/sell page. It was a good price for a solid wood piece and I knew I could give it a facelift with a quick coat of paint. I had grey paint on hand from a previous project so I used that. I was pretty happy with how modern the new color made the piece look, even part way through painting! Once everything was dry I switched out the futuristic drawer pull for a simpler knob. 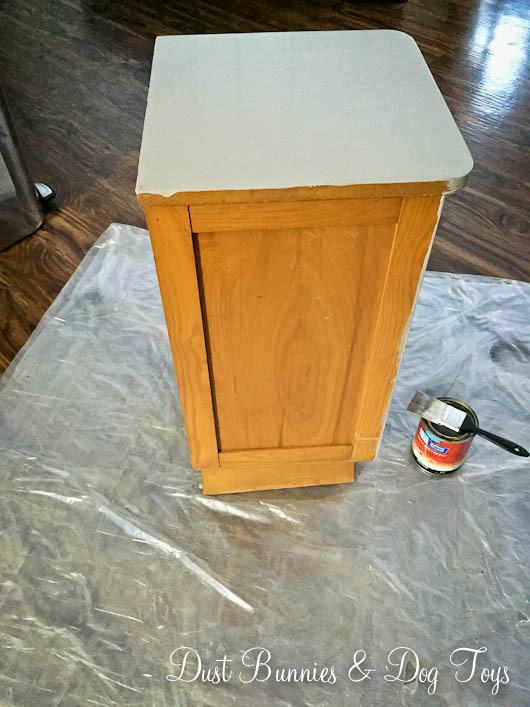 I originally wanted to do a farmhouse style pull like we have on the drawers in the office, but since that would require drilling new holes I decided to stick with the single attachment option. 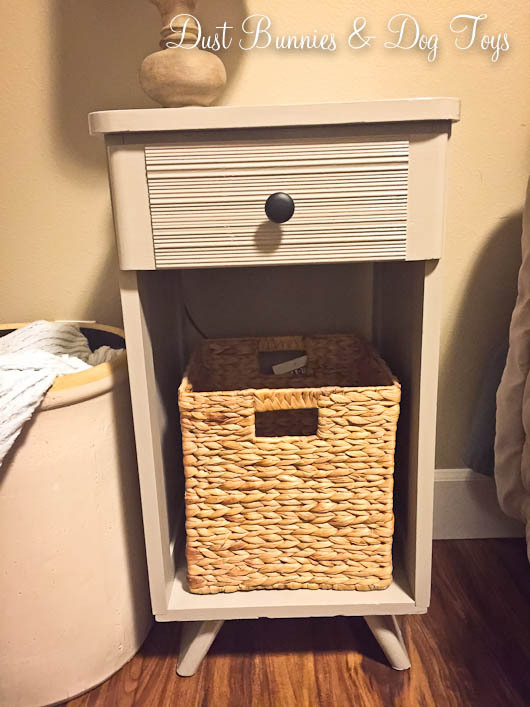 I also added a basket for more storage space. It’s the perfect size for magazines or a throw blanket which makes the piece very functional in a multitude of spaces. I originally planned to use this piece as part of a desk in the foster room but changed my mind as the room came together, so for now it’s acting as a nightstand in the guest room. 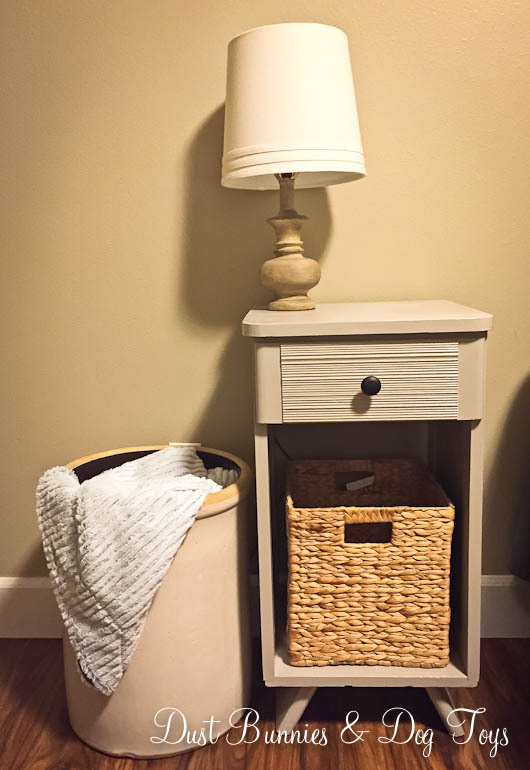 I paid $30 for the table and around $20 for the basket, so the total cost came in just under $50. Not bad for a quick little project. 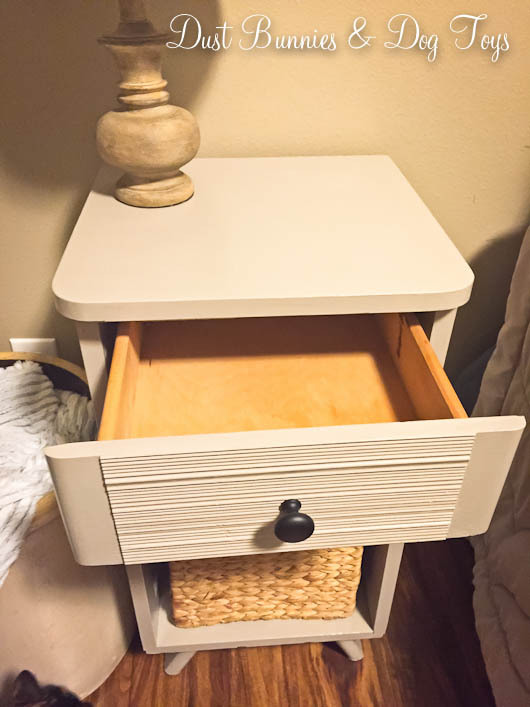 I’m currently on the hunt for a small dresser for the guest room so when I find one this piece may find a new home elsewhere in the house. 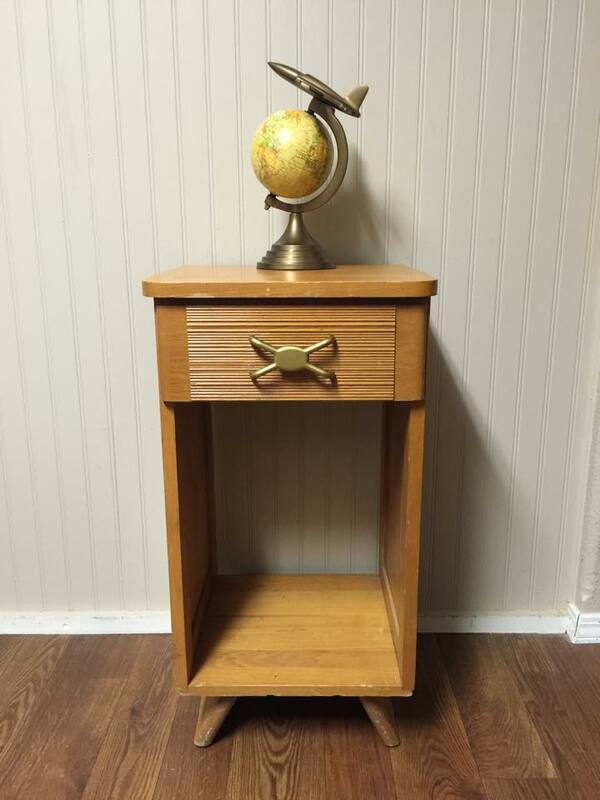 I could see it working well as a side table in the family room as well. But if not it should be an easy piece to sell. I’d love to hear what you think of the transformation! Leave me a comment below about how you’d use it in your home if you had the chance.